A nice thing to do for Valentines Day is to pay for your other half to have a massage. But you can make it for for you too! 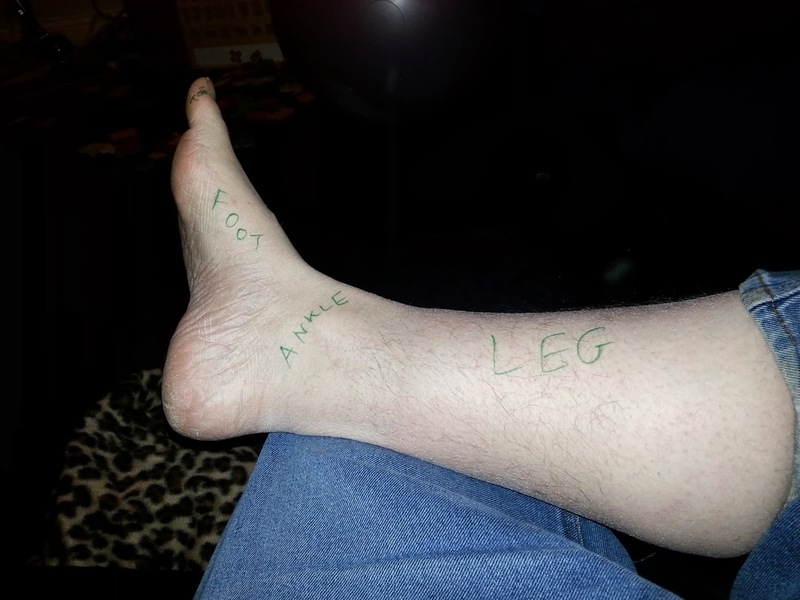 The day before, I scribbled on my partners lower leg and feet, identifying the leg, the ankle, the foot, and all the toes (recreated on my own leg in the picture below). She forgot all about this until the masseur went to work on her feet, and said "um... is this to remind me what each bit is?" Valentines Day was awesome for us - let me know in the comments how yours was!